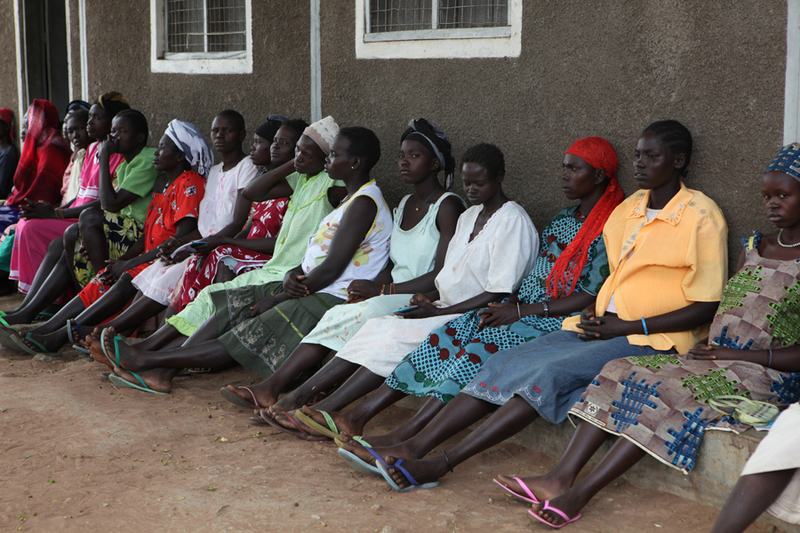 Mothers wait in line to receive an Ante-Natal Check up at the Save the Children-supported Mvolo Primary Health Care Center (PHCC) in Western Equatoria, South Sudan. First time mothers receive a long lasting insecticide treated mosquito net (LLIN), Ferrous Iron tablets, Malaria prophylaxis and multivitamins. The Mvolo PHCC is a Government of South Sudan medical facility supported by Save the Children.